Post card photo from the Ashtabula County Historical Society museum, Walter Jack Reference Room collection. 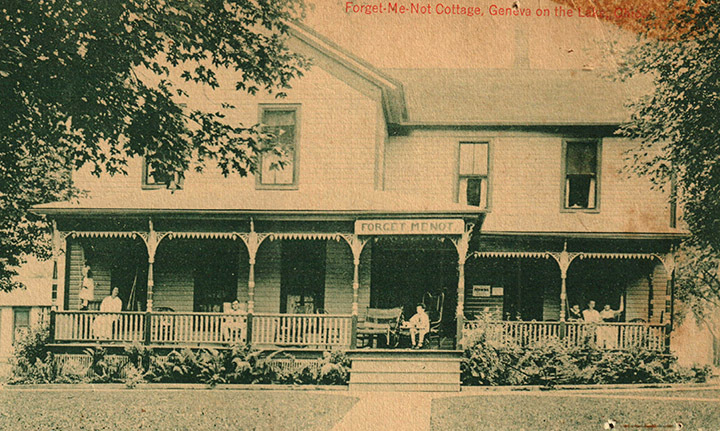 The Forget-Me-Not Cottage was owned by R.M. Hoskins, according to a newspaper article from Sept. 4, 1913. From a Nov. 20, 1913, newspaper article: “R.M. Hoskins is building quite a large addition to his property, Forget-Me-Not cottage. Charles Warner is doing the work.